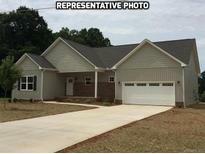 Find Statesville, NC New Homes for sale. View Photos, Maps and MLS Data Now! Custom kitchen cabinets, granite counter tops, stainless appliances, tile flooring,and vinyl laminate or wood flooring. Large finished garage. MLS#3494745. Royal Properties. Don't wait to make it yours! MLS#3494504. Adams Homes Realty Inc. Deer Crossing - Tax value is for the land only. MLS#3494395. Dixieland Realty. 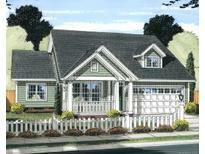 Castlegate - You can customize your home to your taste. MLS#3491974. Carolina Signature Realty. Large Game room offers additional entertaining space or children's play area! MLS#3491078. TLS Realty LLC. Game room offers additional entertaining space or children's play area! MLS#3489240. TLS Realty LLC. Jo Monni Acres - Absolutely great home and place to live! MLS#3489556. Tarheel Realty II. Come by and see this townhome today! MLS#3489593. TLS Realty LLC. Come by and see this townhome today MLS#3489308. TLS Realty LLC. Come by and see this townhome today! MLS#3489605. TLS Realty LLC. Hidden Lakes - Fresh Two tone Paint, whirlpool appliances, and granite countertops! MLS#3488351. TLS Realty LLC. Hidden Lakes - Minutes from Downtown Troutman and easy 77 access! MLS#3487341. TLS Realty LLC. Larkin Sloan Estates - Rear deck leads to very large back yard! 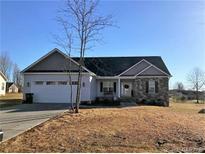 MLS#3487900. Listwithfreedom.com Inc.
Come take a look before it is gone! MLS#3487948. Lake Norman Realty, Inc.. Closing cost paid (expect pre-paids & points) with use of preferred lender. MLS#3487287. Adams Homes Realty Inc. Hurry before this one is gone! ! MLS#3487267. Adams Homes Realty Inc.
Don't wait to make this one yours! Save $1000s with current incentives. MLS#3487262. Adams Homes Realty Inc.
Beverly Heights - The photo above is a replica and may not be an exact replication of the final house. MLS#3487235. Our Town Realty. Castlegate - Community offers a pool with covered pavilion. MLS#3486844. Carolina Signature Realty. Lakeridge - Hurry this home won't last long! ! MLS#3486132. Lake Norman Realty, Inc..
You will also fine two additional bedrooms, a study and the laundry room complete the second floor. MLS#3483422. BSI Builder Services.